Soft Machine is a legend and an institution of British music, a band who included Robert Wyatt, Daevid Allen, Mike Ratledge, Kevin Ayers, Andy Summers (later of The Police), Hugh Hopper, Elton Dean, Roy Babbington, John Marshall, Karl Jenkins, Allan Holdsworth, John Etheridge, Percy Jones, Rick Sanders, Dave McRae and Jack Bruce among others (Jimi Hendrix briefly jammed with the band in 1968!). 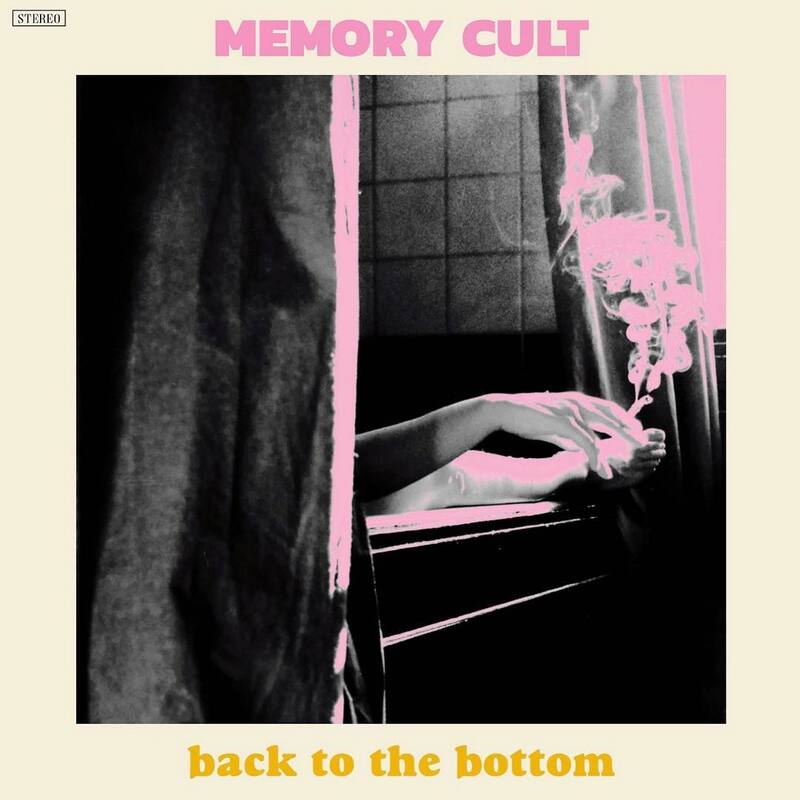 Since its creation in 1966, this band pioneered Psychedelic and Progressive Rock, led the ‘Canterbury’ trend, pioneered jazz-rock, and then guitar-led fusion (launching the guitar god Allan Holdsworth in 1974), influenced generations of musicians. Disbanded in 1978, recreated in few occasions in 1981 and 1984, the band resurfaces in 1999 under the name of Soft Ware. Much was said about this band with a very complex intriguing history of constant personal changes during the 1966-1978 period. The band resurrected in 1999 under the name of Soft Ware, then as Soft Works 2002-2004, Soft Machine Legacy 2004-2015, returning to the original name from 2015, and performing numerous concerts all around Europe, South America and Japan. Soft Machine played on their first North American tour since 1974 in October 2018 with dates in Baltimore MD, Philadelphia PA, Pawling NY, New York NY, Toronto ON, Buffalo NY, Cleveland OH, Indianapolis IN, Chicago IL, Milwaukee WI and St. Paul MN, after performing one off gig at the prestigious Montreal Jazz Festival in July 2018. What is the concept behind Hidden Details? John Marshall: The same as always really. A collaboration where everyone involved gets to contribute and play what seems right and appropriate. It’s a combination of strong compositions and a lot of improvisation. Roy Babbington: There was no planned concept as such or format to be considered. The phrase “hidden details” is likely to have arisen and been used in the rehearsal process and may not necessarily have been applied to the music. I think it was Theo Travis who coined the phrase although I don’t recall it being written on the part in rehearsal. That part evolved into the opening track “Hidden Details” which then became the album title. John Etheridge: There really was no concept in the conscious sense. Leonardo (Pavkovic) said he wanted a new album and we were keen to do one as Soft Machine,but didn’t feel we were quite ready…but we forged ahead and due to a confluence of circumstances it turned out remarkably well. These circumstances were-recording with the great Jon Hiseman (probably his last project), coming up with some good tunes, and our usual process of collective inspiration. We really have no agenda, and bring to the sessions open minds and creative spirits. We are lucky,at least Roy, John and myself, to come from an era that precede strict categories…so what is our music? Fusion, Prog, Jazz?? It’s all those and more (and less!). Theo Travis: We just wanted to make the best album we could make and being the first new studio album under the name Soft Machine for 37 years (as opposed to Soft Machine Legacy) wanted to aim an even higher and make it stellar. Soft Machine’s existence is continuing to expand its discography. Did all members participate in writing songs? What was the writing and arranging process like? John Marshall: It was a mixture of structured pieces and completely improvised pieces. The range of experience of everyone is incredibly wide, covering the whole musical spectrum, and the principal composers (Theo Travis and John Etheridge) are of course completely familiar with how everyone plays. Playing solos, duos and trios also helps to change the perspective on the music. Roy Babbington: Rehearsing new material with Soft Machine is usually trying out unnamed bits and pieces, which evolve into frameworks for improvisation. In preparation for this recording there were exceptions. John Etheridge’s “One Glove”, “Heart off Guard”, and his lovely ballad “Broken Hill” were all ready to record with very little tweaking as was Theo’s “Hidden Details” and “Fourteen Hour Dream”. We have also included a piece from Soft Machines well known album Third. As you will know none of the current line up were involved in the original recording of “Out-Bloody-Rageous”. This is an example of how we show respect to the original. Theo’s fascinating keyboard intro, echoing Mike Ratledge’s use of the now defunct Echo-plex tape effect. Theo uses a keyboard prepared iPad. Bass and drums, John Marshall and myself maintaining and demonstrating the energy and outright rhythmic blatancy of the piece. John Etheridge: Theo and I do the main composition writing and there are a few tunes that you might call conventional compositions. Of course all the players bring their own take on these. Then there are semi-compositions as “Ground Lift”, “Life on Bridges”,where there is a lot of improvisation and then a bit of a composed riff. Then there are the free improvs that are all the solos and the duos, trios etc (“Heart off Guard” is an exception as it is a composition). The Improvisational element is central to this band. Theo Travis: Yes we were all involved. John Etheridge and I did the most writing and we each brought various tunes that we rehearsed with the band to see if they worked. John Marshall and Roy Babbington did contribute also eg to “Ground Lift” and “Breathe”, and also some of the pieces were freely improvised in the studio and we were all equally involved in the spontaneous composition of those pieces. 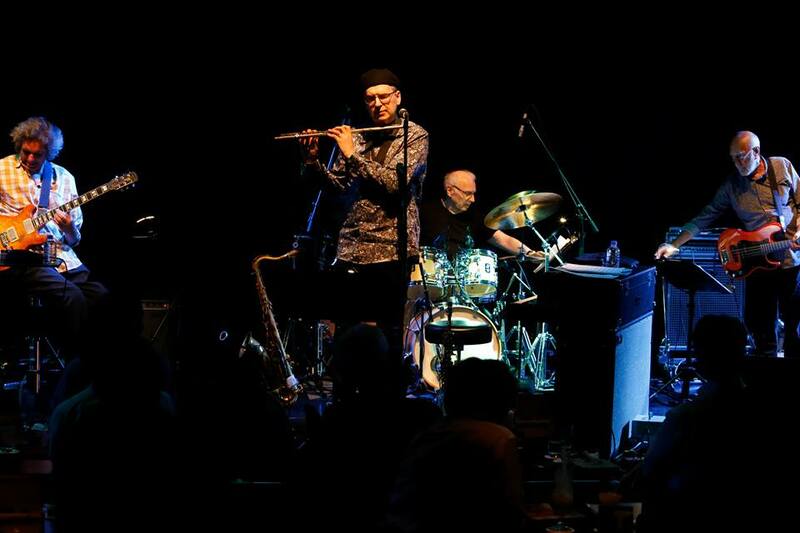 John Marshall: We have been touring very extensively for the last few months and played in Zeist (NL) and Bonn (D) in December and on the US West Coast in Jan/Feb. Roy Babbington: After Tokyo in July, we played in Osaka. Before Japan we had played in Montreal and Quebec. After Japan we had a month off and then began a European tour which started in September. Oslo (Norway), Zoetemeer (Holland), Aachen and Wetzlar (Germany), Rubigen (Switzerland), Milan and Verona (Italy), Vienna (Austria), Bratislava (Slovakia), Prague (Czechoslovakia), Jena (Germany). This was followed by a tour of the U.S.A. in October. Baltimore, Philadelphia, Jonkers, Pawling, New York five shows in three days at the Iridium (faces and name up in lights on Broadway), Toronto, Buffalo, Cleveland, Indianapolis, Chicago, Milwaukee, Minneapolis St. Paul. This was followed by a U.K. tour in November. Canterbury, Gateshead, Kinross, Hebden Bridge, London Borderline, Aldershot, Lewes, Norwich, and Southampton. Two dates in December, Zeist (Holland), and Bonn (Germany). At the end of January we return to the U.S.A. starting in San Francisco and touring the west coast for a couple of weeks. Then to Tampa Florida for the “Cruise to the Edge” a prog happening down to Mexico and back. Fly home from Tampa. John Etheridge: We’ve just done a world Tour! We have been to Canada, Japan, Europe (8 countries), USA East Coast, Britain, USA West coast, Cruise to the Edge (cruise ship). The whole thing was absolutely brilliant and exciting and revivifying! Theo Travis: We have already toured Japan, Canada, America, UK, France, Germany, Norway, Belgium, Netherlands, Slovakia, Czech Republic and we went back to America in January 2019 for 3 weeks. The live shows have been amazing and the response fantastic. Can you share some further details how your latest album Hidden Details was recorded and released? John Marshall: We rehearsed the written compositions beforehand but decisions about the improvised pieces were made in the studio. We chose Jon Hiseman’s studio as we were familiar with it from previous occasions and felt very at ease there. We were admirers of Jon’s expertise as an engineer and his understanding of and feel for what we were doing. He also would do very good rough mixes extremely quickly. I’ve known him for a considerable number of years and been an admirer of his abilities in whatever he chose to do. Above all of course he was a consummate drummer and will be greatly missed. 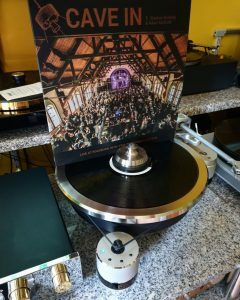 Roy Babbington: The recording was done at Jon Hisemans Temple Music studio in Surrey just before Christmas 2017 and mixed by our great friend Andy Tulloch at his Blue studio in February. Side D on the vinyl version of the recording is made up of monitor desk mixes by Jon Hiseman. It was a great shock to us all to hear of Jon Hiseman’s untimely death on June 12th. R.I.P. Jon. Theo Travis: We recorded it live in the studio of the great Jon Hiseman in Surrey in December 2017. We were well rehearsed and recorded a couple of takes of each piece. There were then some improvised pieces that we all played together. We recorded more than we needed and chose our favourites. We actually only spent 3 days in the studio which is fast for these days! Mixing took another 3 days at Andrew Tulloch’s Blue Studio in London. Some of the outtakes were released on the double vinyl edition. The album came out in Japan on one label (Vivid Sound), then worldwide on John Etheridge’s Dyad label (through Proper distribution) then on vinyl through the Dutch Tonefloat label. It was also released in the US on Moonjune Records and also digitally. So quite a complicated release set up. How pleased were you with the sound of your latest album? John Marshall: To be honest I don’t know as I don’t listen to recordings I make once we finish in the studio. I’m told the sound is very good and that between them Jon and Andrew Tulloch have produced a really great sounding album. It’s been commented on from all sides. Roy Babbington: We are all very pleased with the finished product and all credit to Jon Hiseman and Andy Tulloch for their ability to tame some of the wilder noises we sometimes come up with. Since our last recording, Burden of Proof, John Etheridge, Theo and myself have all invested in and experimented with new pedals which feature on the album. I’m sure you know that early recordings by Soft Machine bassists featured various effects, Kevin Ayers’ Joy of a Toy featured a wah-wah pedal, Hugh Hopper loved his fuzz box and other effects. In the seventies I used among other pedals an octave divider, I have a new one which is used on the opening track, adding a fresh dimension maybe? As well as octave division I also have octave multiplication. Careful use of these effects can give the impression sometimes of there being more than four people on the stage. I should add here that when we were in Japan recently we were in fact more than four onstage with the addition of Gary Husband on keyboards, a most welcome addition. For me there were echoes of the 1974 line up. John Etheridge: We always use a great sound man for Mixing and Mastering-Andrew Tulloch at the Blue Studio. The initial recording process at Jon Hiseman’s studio was very satisfactory, as he really understood the music. We don’t have a producer, so a sympathetic engineer is very important. I’m always pleased with Andrew’s results and he works on all of my albums. Theo Travis: Very pleased. It was well recorded and well mixed and all four of us take a lot off care with the sound of our own individual instruments. So sonically it is very polished. John Marshall has some beautiful hand percussion and gongs. John Etheridge has a gorgeous acoustic guitar and state of the art electric guitars. Plus we used Jon Hiseman’s Fender Rhodes piano which is a superb model. A lot of care was taken to make every aspect of the sound of the recording as good as possible. John Marshall: My early listening was to British big bands like Ted Heath and others. There was a dispute then between the UK and US Musicians’ Unions which meant that American musicians couldn’t play in Britain and vice versa. So when I was put onto small group jazz it was also mainly UK groups live and American on record. The drummers I liked were the classic bebop drummers: Kenny Clarke, Max Roach, Art Blakey and of course Roy Haynes. In London I listened to people like Phil Seaman, Ronnie Verrell, Bill Eyden, Bobby Orr, Kenny Clare, Allan Ganley, Ronnie Stephenson etc-all great players. I’ve listened to and enjoyed so many players over the years and have found so many to be both interesting and influential. But if I had to pick out players who particularly grabbed my attention then I would mention Philly Joe Jones, Danny Richmond, Tony Williams, Billy Cobham, Bob Moses, Joey Baron but above all Jack DeJohnette. I like players who have a looser approach and whose playing is perhaps a bit more tangential than more straight forward players. These I notice are all predominantly jazz drummers-although I appreciate players from different areas it’s jazz musicians whom I like the most. I should perhaps mention that I was fortunate enough to be able to have lessons with Philly Joe Jones when he lived in London for a while. From him I learned the importance and practical relevance of the traditional Drum Rudiments (he hardly made a move without them) and was able to witness his phenomenal brush playing. I hope I was able to pick up a little of that. Roy Babbington: I was born in 1940 around fifteen years before the Rock & Roll revolution. I was introduced to the double bass in 1952. Took an interest in Jazz, mainly American. Took an interest in the guitar at seventeen and was suddenly in a Rock & Roll band on guitar. It was called Denny Brand and his Rockets. Six months later I became a professional musician playing double bass and earning money. Able to afford jazz records my first influences were bass players such as Jimmy Blanton with Duke Ellington, (I still have a love of big bands) Slam Stewart, Oscar Pettiford, Ray Brown, Scott la Faro. The bass guitar wasn’t reckoned to be a jazz instrument until bands like Blood Sweat and Tears appeared. Around this time I needed to borrow a bass guitar and the one that came was a six string Fender bass. I fell in love with it and had to have one. Shortly after arriving in London in 1969 I heard Hugh Hopper, the first improvising bass guitarist I had heard with an identifiable sound and playing lines that were totally unique. The early seventies were a hotbed of jazz experiment in London. I found myself in several bands, Delivery, Keith Tippet’s, where I first experienced Elton Dean, Robert Wyatt Symbiosis, Nucleus, where I first experienced John Marshall and Karl Jenkins. Being invited to record with Soft Machine in the autumn of 1970 was a real thrill. This was Fourth. Being invited again in early 1972 for Fifth , John Marshall now in from Nucleus and the band evolving. August 1972 I appeared in the Down Beat critics poll. 3 Influences at this time I remember Stanley Clarke being pretty impressive at Ronnie Scott’s with Chick Corea. Somebody who I first heard with Gary Burton circa late 1960’s was Steve Swallow a lovely player. As soon as I saw his name on a recording I wanted to hear it. Then of course Jaco…he made me want to give up! There’s one more, a Welshman, Laurence Cottle brilliant, this guy deserves recognition. John Etheridge: Well…that started with Hank Marvin, then Django Reinhardt, then Eric Clapton, Jeff Beck, then John McLaughlin, Joe Pass…These were my most formative influences and since then I have admired many great guitarists. My particular inclination is to contemporary jazz influenced players-John Scofield, Mike Stern, Allan Holdsworth, Pat Martino, Pat Metheny, Bill Frisell…the usual suspects! I do actually love to hear guitar players and am aware of most of the great ones-but I’d say that after a time one has absorbed a certain variety of influences and they remain at the core of your being. One thing I like to do with Softs is to approach certain passages as if I can’t really play the guitar! For that I don’t use my usual techniques, almost imagining I’m Syd Barrett playing “Interstellar Overdrive” in UFO club in 1967…it’s very refreshing. One must always try to get away from your usual self! That’s why I find Miles Davis so inspiring and also why I like to play in so many different contexts. Theo Travis: We are all influenced by a whole host of different factors, and each have our very different musical influences. It is the bringing together of those contrasting and complementary influences that makes us the musicians we are and the sound that is Soft Machine today. I think some of our personal influences are changing constantly while others stay the same. Roy (Babbington), after moving to London in 1969, you joined the band Delivery, one of the earliest examples of the Canterbury scene. Can you elaborate the formation of Delivery? What are some memories from recording Fools Meeting? Roy Babbington: I wasn’t the first bassist with the band. Steve Miller, Phil’s brother was band organiser and he had been told about me by Alexis Corner. I had depped for Colin Hodgkinson with Alexis. I was invited to join Delivery replacing Jack Monck. The band did more rehearsals than gigs and early days it needed to, no discipline. Eventually we got a deal with B&C records to make the album. I don’t recall the Canterbury tag being used regarding Delivery at the time. The only connection I vaguely remember was Robert making off with Pip’s girlfriend, or was it the other way round? The bands sound was what it was. Acoustic piano, guitar, drums, (6 string) bass, Lol Coxhill on saxes, and Carol, she and I are the only ones left. After we had sorted it so that we didn’t get in one another’s way we recorded Fools Meeting at Morgan studios. My only memory of the session is of suggesting to Lol that he might be slightly out of tune. He never spoke to me after that. When Delivery disbanded in 1971 you joined Nucleus. How would you compare your input in Nucleus to Soft Machine. Roy Babbington: Nucleus was a well established band by the time I got the invitation. Jeff Clyne was on their first two recordings. Jeff was primarily a double bassist and like many others who tried to make the switch to bass guitar was never 100% comfortable with it. So I joined Nucleus and they had an already established style and repertoire. I have never considered myself a writer of music, and have never made any written contribution to either Nucleus or Soft Machine. I believe my interpretations have been appreciated by the writers that I’ve been involved with. I am interested in improvisation be it jazz, rock, or any time signature. At this time I am very interested in Konnakkol. If interested youtube Konnakkol and Quads. How was it to work with the members of the Soft Machine back then? Roy Babbington: After recording Six Hugh Hopper became disenchanted with the direction the music was taking. He is credited with only one track on Fifth and only one on Six. For a writer of his quality this must have been very disappointing. Also Elton leaving after Fifth was a major change. My connection with the Mike, Elton, Hugh and Robert format I enjoyed very much especially the live work some of which was recorded by the B.B.C. The Soft Machine I joined upon Hugh’s departure was of course now ¾ Nucleus. My first period on bass guitar with the band. We recorded Seven with all fresh material. Although some of the press were for disapproving of these machinations around this time a Melody Maker readers poll saw fit to give the four of us top places in our categories. I think the album was rated as well. Then the icing on the cake, Allan Holdsworth joined. Wow. His contribution to the improvisation factor set us alight. Alan was with us for about a year before being headhunted by Tony Williams. Alan was replaced by John Etheridge and shortly after that Mike Ratledge left. I was next to leave, the reason being financial. One can’t live on gigs and fresh air. The mismanagement of the time has a lot to answer for. John (Marshall), you are founding member of the jazz rock band Nucleus. Can you elaborate the formation of Nucleus? At that time (the 60s) there was a desire to widen the boundaries and so when I was asked to join the group led by bassist Graham Collier whose material was original (as opposed to Jazz Standards), influenced by Charlie Mingus and included quite a few pieces in different time signatures I readily agreed. This I found to be very much to my taste. Graham was very instrumental in giving opportunities to young musicians and Karl Jenkins was one of them. Apart from playing Graham’s gigs we formed an occasional quartet together playing Karl’s compositions. Ian Carr was looking for a new direction and he liked what we were doing. This led to the formation of Nucleus. The concept was original material from members of the band and a non bebop style often using odd time signatures. For my part, I knew from experience that these worked better in a straight eight feel as opposed to the normal jazz feel-hence the use of rock rhythms. 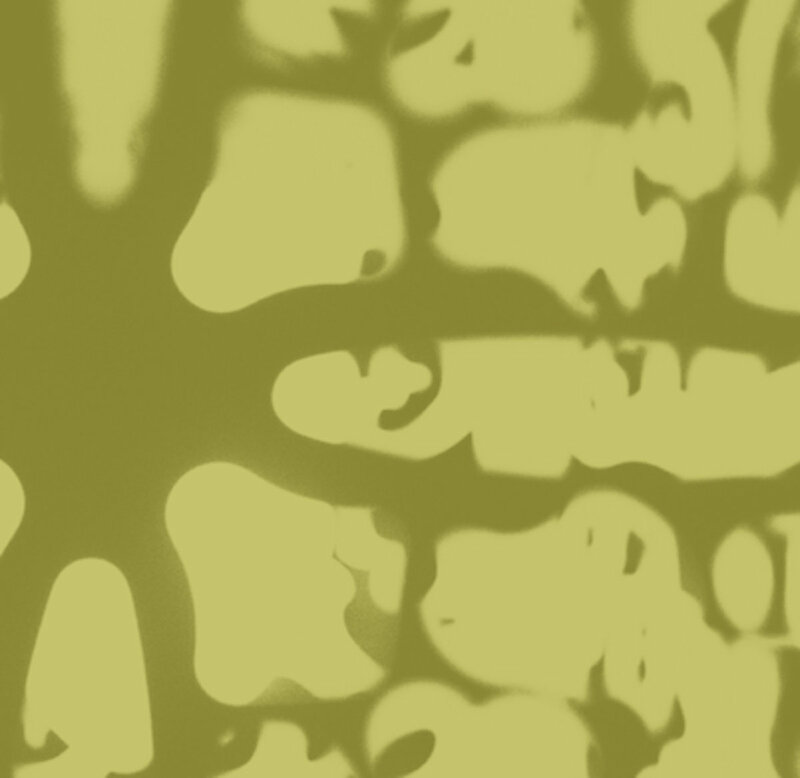 The challenge was to find a way of playing this type of rhythm, which is normally static, with a fluid, changing, more ‘jazzy’ approach-it was labelled jazz-rock or fusion and although Nucleus was one of the very first pioneers of this approach there were others of course in Europe and the States who were engaged in similar experiments. The other feature was to play in venues apart from the normal jazz clubs which meant that, unlike other bands from the jazz scene, that we should have our own PA. So the philosophy was to look a bit wider than the immediate jazz scene in many ways. After that you joined the Soft Machine. John Marshall: I left Nucleus to join Jack Bruce’s band. I’d first played with Jack on a couple of Nucleus gigs when he was depping for either Jeff Clyne or Roy Babbington (Ian knew him from the New Jazz Orchestra) and then we played together when Mike Gibbs formed his big band which was a veritable who’s who of the British jazz scene. Jack asked me to play a couple of tracks on Songs For a Tailor (Jon Hiseman played on all the other tracks-brilliantly) and later we did Harmony Row with Chris Spedding. Jack’s band consisted of Jack, Chris, Graham Bond, keyboards and Art Themen, tenor and soprano saxes. However after a few months Jack decided to fold the band and go with Leslie West and Corky Laing. That same night I bumped into Sean Murphy, Soft Machine manager, at Ronnie Scott’s who asked if I wanted to join Softs. I didn’t know much about them, having only heard them very briefly when they played at Ronnie’s club, but thought it was a good idea to try something new if only for a short time. I’m still here! John Etheridge: I actually wasn’t on that album. They put my name on it! The guitarist was David Plotel. I joined for the Romania tour after the album had been made. The tour was completely hysterical and the audiences went crazy, but the Communist Party (under Nicolae Ceaușescu) really hated us and removed us from the country as a degenerate Capitalist product and we were expelled! Then you joined Darryl Way’s Wolf and recorded three exceptional albums. What are some of the strongest memories from recording it? John Etheridge: Wolf did 3 albums indeed. The first one Canis Lupus was quite traumatic for me as I’d never done any recording and had no idea how to get a sound in the Studio. I was mortified by the noise I was making and had no idea about mic placement etc. Consequently I find that album unsatisfactory, although overall it’s quite good. Stupid cover though! Talking of stupid covers…what about Saturation Point? Wolves being shot in a pit! This album was mire satisfactory from my point of view, although the overall sound is weak. I was much more satisfied with my own playing on this, but really it was on the last album Night Music, that I felt I actually played well! My solo on “Flat 2-55” is something I’m still not embarrassed to hear! That used a great big Eventide Flanger. This was the early days of effects. The trouble was, having produced a good album with good tunes and singing (John Hodkinson from If)-we folded up-so did no promotion…Shame ! Then you joined the Soft Machine. John Etheridge: I was recommended to Soft Machine by Allan Holdsworth, who was departing to play with Tony Williams. This was very lucky for me as the Soft Machine only knew to look on the Jazz Scene for a replacement, and there really was nobody suitable. I went down to do the audition, for which I felt I was the suitable candidate (not always the case!) and they were happy to have me, and we went off to Italy. So I promoted the Bundles album. This was a pretty demanding task as you can imagine (following Holdsworth) and it took a bit of time before I got comfortable! I played a Stratocaster at first, but when I got the Gibson SG, I found this much easier to play. By the time we made the Softs album I was settled in (that is the Fender guitar on most of that). This is a very good record. But for my own satisfaction I like Alive And Well Recorded In Paris.This was the first time I was really pleased with my playing on disc. 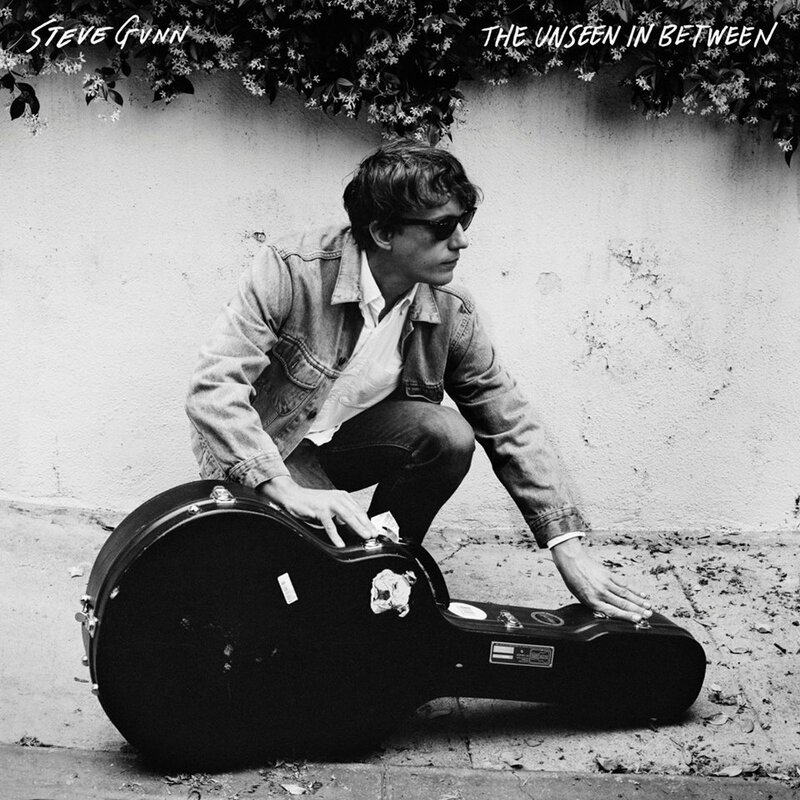 Overall this album is not nearly so strong-but the sound of the guitar (thanks to producer Mike Thorn) is excellent. On the road Soft Machine was a difficult experience socially. It was not a happy band. Ratledge wanted to leave and there was quite a bit of tension between the other members. I was personally knocked out to be playing with these guys, but I’m not sure how knocked out they were with each other! It’s a shame that internal strife really brought down this band. That’s what’s so beautiful about the reformation, dating from 2004, with age and maturity and perspective helping, Elton, Hugh, Roy, John, myself to get on really well together. That’s why the band is now the best it’s ever been, certainly since I was in it. How about 2nd Vision that you formed with violinist Ric Sanders? Second Vision in many ways was an ill-starred project, but the album is terrific ! We had a real producer on that and a cracking band and good budget. Dave Bristow was inspirational on keyboards and Ric was always a fount of enthusiasm. So we recorded this really good album and when it came out, all the music papers were on strike! At this time, that was very important. So we missed all the publicity! The Producer was John Cameron. He was very hands on and I have to say that there are one or two solos of mine on that which he made me do short phrase by short phrase…”Ice Bells” is like that I think…It’s like being a Film actor…a product made up of very short takes. I don’t usually work like this-but the results were good . The album should have got much wider hearing. John (Marshall), how would you compare your input in Nucleus to Soft Machine. John Marshall: Very similar. They were doing essentially the same kind of thing: instrumental material involving themes and a lot of improvisation. The only difference really was that apart from Elton, Softs didn’t come from the jazz scene but that wasn’t particularly significant as they were very much into jazz. My approach to any of the bands I played with was that when I joined “the music starts here”. I don’t spend much time on what went on before because if they’ve asked me then they must think what I play fits the concept of the band. And the way the band plays will reflect what went on before. Improvisation is about now anyway. You went on to record a series of albums with the Soft Machine. Fifth was your first. How was to work with the members of the Soft Machine back then? John Marshall: I joined when the band was in the middle of the 5th album. My first impression at the first rehearsal was that the band was really demoralised and gloomy. There had been differences over the direction of the music should take and there had been an apparently unhappy tour in France where the band had up to then been very successful and popular. However things improved pretty quickly and we got down to getting the material together. Mike made it pretty obvious that they liked how it was working out and we took it from there. The first extensive tour I did was the band’s first tour of Italy and I enjoyed it a lot. You were also part of a very interesting project called Centipede. It was 50+ member group put together by Keith Tippett and you recorded Septober Energy in 1971. John Marshall: I wasn’t in it from the beginning. There were three drummers Robert Wyatt, Tony Fennel and I think it may have been Brian Spring. I remember one of the first gigs was in Bordeaux for which a plane was chartered. Chris Spedding and I traveled on the trip because Nucleus was also on the bill but unlike the others in Nucleus Chris and I weren’t involved in Centipede. It was quite a journey as there was a lot of jamming during the flight (led by saxophonist Gary Windo) and a generally chaotic but benevolent atmosphere. My memories of the event are a little fragmentary but I remember when we landed Julie Tippett (then Driscoll) running away from the air terminal followed by a pack of newspaper correspondents. She was of course a big name in the rock/pop world because of her membership in Brian Auger’s Trinity and their hit “Wheels on Fire”. Chris and I, after our set with Nucleus, spent most of the rest of the evening in the small bar next door and so missed most of the Centipede set. Although I do remember Robert addressing the audience in French at the end of the gig. I was later asked to join, presumably because Brian dropped out and I enjoyed the energy and, although Keith did a great job directing the event, the boisterous quasi chaos. Sometimes the volume in the percussion section was so high that on a couple of occasions I stopped playing and it made no difference at all. The band contained a lot of ‘characters’ especially among the male singers: principally Zoot Money and Mike Patto, which meant there were a lot of laughs and never a dull moment. It was definitely a memorable experience and characteristic of a time when you could have extravagant, creative ideas and realise them. I don’t remember much about the recording apart from the fact that Robert Fripp was the producer. So thanks Keith-one of the giants produced by those times. Soft Machine Legacy released quite a lot of albums before you dropped the name Legacy. What was the reason? John Marshall: It became obvious that a lot of people thought the use of the term Legacy indicated a tribute band rather than a direct creative continuation of the band. Three of us were in the band together in the seventies so it made sense to revert to the original name and avoid any doubt about the identity. Roy Babbington: Picking up on my last line we now have, since around the millennium, management in the shape of Leonardo Pavcovic of Moonjune fame! Hip Hip Hurrah! Without this man Soft Machine and possibly Moonjune would not exist today. He managed to shepherd together four Soft Machine exmembers, get the gigs and get it recorded. Allan Holdsworth, Elton Dean, Hugh Hopper and John Marshall recorded Soft Works Abracadabra. Allan left and as in the 70’s John Etheridge followed. There were then two recordings with a consistent line up, Live in Zaandam, Holland 2005. Soft Machine Legacy recorded East London Studios 2005 released 2006. At this point sadly Elton died. His replacement was Theo Travis. 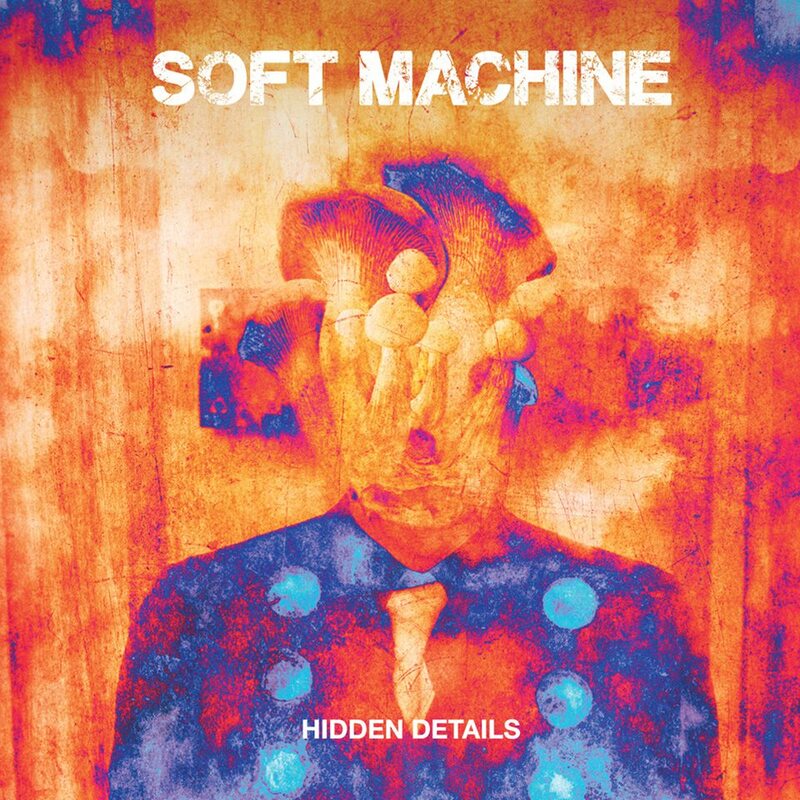 The Soft Machine Legacy Steam album released 2007. This recording involved Jon Hiseman. I was not part to any of this so my information is inconclusive. While all this was happening I had decided to retire from playing because of problems with my hands. Something called Dupytrens Contractions. I had made the decision to have my hands operated on but then I had a call telling me that Hugh was ill “would I like to be involved in a benefit for him” it happened at the 100 club on the 14th December 2008. I played double bass with John Etheridge and John Marshall. Hugh died in June 2009. At this point the Legacy were not very busy. They invited me to do a couple of gigs in Spain. I thought this would be my swan song because of my impending operation so I agreed. The operation was a success so once again I stepped into Hugh’s shoes. This eventually lead to a live recording from a German tour in October 2009 Live Adventures and then, recorded over three memorable days in Italy, Burden of Proof 2013. The word legacy. I believe that Hugh’s attachment to the development of the original Soft Machine concept lead to the Legacy word being acceptable to all at that time. It is a fact that now three of the current line up were on the very popular album Softs. The Legacy prefix is used usually by those who had nothing to do with the music they play. We now revert to simply Soft Machine because three of us have been involved for an awful long time and anyway it rolls off the tongue more easily. John Etheridge: We should have dropped the Legacy name much earlier. Hugh Hopper was particularly against calling ourselves Soft Machine as he thought Robert Wyatt would be offended…But really a band consisting of Hugh Hopper, Elton Dean, John Marshall and myself had every right to call itself Soft Machine. Since we have dropped the Legacy there has been so much more clarity and I feel we are more connected and enlivened…So many people thought Soft Machine Legacy was a tribute band! We would appreciate if you can share your insight on the Soft Machine Legacy albums? John Etheridge: Live in Zandaam was from 2005 and to my mind a premature release. It’s OK but does not show us off fully…Soft Machine Legacy from 2006 is much better and was recorded in 2005 in happy frame of mind at Eastcote studios. Elton sounds fine on this record and it’s probably his last recording (apart from the DVD from Paris in December). Steam from 2007 is a very good record. This was made at John Hiseman’s studio and is the first album with Theo Travis, who brought a whole new energy to the project. Elton was at heart a free jazz improviser. Theo is much more ordered in his thinking (although a great improviser) and I think we became a much more structured outfit as a result. Burden of Proof is also a fine album, recorded in Italy with lots of pasta and wine and good vibes and mixed by Andrew Tulloch. This album got great reviews and also elucidates the direction which seems to be normal for us now…True compositions, group improvisations and solos and duos. The best album by far is the new one Hidden Details. I’m very pleased with this record and it has had a lot of attention and sold well. I also play my best on a Soft Machine album since Alive and Well. The opening track is a stormer and my solo at the end is as good as I’ve ever played it live. That’s quite rare with a recording. Usually when you record in this way (rehearsing new material, then putting it down), you feel that after a few gigs you really nail it, but the recorded version of Hidden Details has everybody playing the HELL!!! John Marshall: As I mentioned before once the albums are made that’s it. There’s nothing I can say about them. Theo Travis: I was not involved in the first one (with Elton Dean) but was in Steam. That was recorded in December 2016 also at Jon Hiseman’s studio. It is a strong album with some great tunes and band improvisations on. That included Hugh Hopper on bass and his influence was strong as he had his own definite musical character. Live Adventures was the first album with Roy Babbington on bass and was from the European tour of 2009. Some very strong performances and a good representation of how the band sounded at the time. It was before I started playing keyboards with the band. And other aspects of the sound have developed too. But we were pleased with the performances, the recording and the mix. Burden of Proof was recorded in Italy and despite technical difficulties was an enjoyable experience. I feel the introduction of the Fender Rhodes piano took the band a step closer to the more recognisable classic Soft Machine sound…Some good tunes and great playing and some excellent Italian food! You were part of many other projects…but it would be near impossible to talk about everything you were involved with. John Marshall: I have indeed been lucky enough to have been involved with a large number of great musicians and bands. John Surman, Mike Gibbs, John Taylor, Dieter Glawischnig (small groups and NDR Big Band), Eberhard Weber’s Colours (a great band), Arild Andersen, Gil Evans and many more. The constant feature is that the aim was to make good music. John Etheridge: I’ve played with so many great people…So let’s highlight 5 years with the immortal Stephane Grappelli. Wonderful experience-a master totally at ease with himself (musically) and inspiring and relaxing at the same time. Quite a few years with Nigel Kennedy-the great classical violinist. Many projects with him-the best one being acoustic Jimi Hendrix (a good album from that). For the last 20 years I’ve played in band and duo and trio with the greatest classical guitarist John Williams. This is really demanding in a completely different way. He is the most precise player ever! The Jascha Heifetz of the guitar! Perfection! I also have many of my own projects. Recently I discovered and recorded with a wonderful singer Vimala Rowe. We play as a duo, and again the demands on my playing are totally different from playing with the Soft Machine. Also I have been running the band Sweet Chorus conceived as a tribute to Grappelli, playing acoustic Jazz. However I HATE the word ‘versatile’…I prefer eclectic as in all these projects I’m fully myself…I don’t do Styles. ..I’m not a session musician! Touring with David Gilmour in 2015. Touring with Steven Wilson and all the recordings with him. The Nine Horses-Snow Bourne Sorrow album and performances with David Sylvian. Playing with my quartet at Ronnie Scoots club London over 70 Times. Everything with my Double Talk band particularly the Transgression album. …Not that I want to under value or under appreciate all the other great projects, bands and musicians I have had the good fortune to work with. Theo (Travis), your project with Fripp is very dear to my heart. Theo Travis: Me too! I have enjoyed every moment, every concert and every recording of that duo with Robert. I think we reached some special music and very special moments. He is a wonderful artist and despite what you may have heard…a joy to work with! I am very proud of the five albums we have released. John (Marshall), would you like to comment your drumming technique? Give us some insights on developing your drumming technique. John Marshall: My technique has come from my interest in jazz and jazz drumming. That’s the basis of it and I would say that flavour runs through everything I do. Although I admire players with phenomenal chops, I like those who have a different perspective and who concentrate on different textures and grooves. My technique has developed from a desire to be able to play what’s required by the music. If it needs a groove then it must groove but if possible I like to be able to get some fluidity and movement in it (with varying degrees of success)- if it’s more abstract then I’ve tried to have a wide repertoire of sounds and atmospheres to call on. For solos I try to put together a sequence of interesting sounds; an abstract collage if you like. Roy (Babbington), give us some insights on developing your bass technique. Roy Babbington: It’s a book I haven’t written yet and I haven’t had the time to start here. John (Etheridge), would you like to comment your guitar technique? Give us some insights on developing your guitar technique. John Etheridge: I always wanted to play fast! I really developed my technique from listening to Django and Eric Clapton more or less at the same time. I wanted to marry the sustain rock sound of EC with jazz fluency…A few people in my generation (Ollie Halsall, Holdsworth, Mclaughlin to a certain extent ) were probably trying to do this at the same time. I was in a blues Band in 1966 and was always getting into trouble for introducing jazz runs in my solos! Although Clapton and Hendrix who heard me at the time liked it. Really that’s what I’ve been aiming for ever since and in the last few years I feel I’m nearly there! John Marshall: Very important. It’s the one element which distinguishes the music I like and play from other forms. Interaction with other musicians is a completely unique experience. It doesn’t always work as well as you hope but the experience is nevertheless positive. When it does work of course it’s magic. John Etheridge: I’m naturally an improviser. I say this without placing value on it. I play with John Williams and he absolutely is not! So I don’t feel there is anything superior about being an improviser…it just depends on your character. I actually used to find playing prepared pieces very difficult and nerve wracking! I now play a lot of solo guitar and I do have some pieces quite arranged (although there is always space for improv). But it’s the improvisational aspects that give me the most satisfaction…You are ‘there’ in the moment, and that’s what life is about. The feeling in a band when everybody is creating is the best thing! Theo Travis: Very important. Coming from a jazz background it is central to what I do and how I play. For me it is a natural way to play. John Marshall: To avoid the recurrence of back problems I’ve had to limit my playing somewhat. But this year I played in Chemnitz and Berlin with Joe Sachse (guitar), Dieter Glawischnig (piano)and Nils Wogram (trombon). I have played with Joe and Dieter very frequently in the past but it was the first time with Nils, a brilliant trombonist. The music was pretty free and we had a great time. I am also looking forward to playing on the Cheltenham Festival on May 4th 2019 with John Surman’s Brass Project which features the Surman Trio, (Surman, Chris Laurence on bass and me), plus brass players under the direction of John Warren. I’ve played countless number of times with John over the years and the quartet with Chris and John Taylor was always stupendous-always a highlight. The pleasure of playing with JS never diminishes-truly a giant. John Etheridge: OK…so in the last week I have done a duo with Vimala Rowe, an improvising quartet with Paul Dunmall (legendary improv sax player ), a date with the Soft Machine and a gig with my bluesy organ trio ‘Blue Spirits’…Pretty mixed up eh!!! It’s demanding but inspiring and all the gigs were tremendous! Theo Travis: I have just performed a concert in Leeds, UK with Bill Nelson, Harold Budd and Dave Sturt which was a rare treat. The Soft Machine touring has been the main thing recently but also there was the release of the Travis & Fripp Apps in the Apple App Store which is something new and exciting. Let’s end this interview with some of your favourite albums. John Etheridge: I’m a terrible listener actually ! But I was asked recently to talk about an album I’d recommend to somebody getting into Jazz and I mentioned In A Silent Way (Miles Davis)-so I went back to listen to this record which blew my mind in 1969. It’s wonderful…the density of the sound. The fact that there are no chord changes, but a still a swirling textural harmony working away underneath, like a gentle cauldron. John McLaughlin gently noodling in the most atmospheric way and stunningly constructed solos from Miles and Wayne Shorter. It’s a Masterpiece! Theo Travis: Stan Getz-Sweet Rain, Miles Davis-In a Silent Way, Brian Eno-On Land, King Crimson-Red, The Who-Quadrophenia, Talk Talk-Spirit of Eden, The Beatles-Abbey Road, Yes-Close to the Edge, John Martyn-Solid Air, Tubby Hayes-Mexican Green. Nothing very new or secret there, but all amazing albums that mean a lot to me. I really like the more recent releases King Crimson-Live in Chicago, David Torn-Only Sky and Fionn Reagan-The End of History but don’t keep up with the latest latest…There is so much great old music to catch up on. John Marshall: Thanks for your interest and apologies for the fragmentary response to your questions. John Etheridge: There’s only one important element in the end in music and that is connection to essence of some sort. I was watching a documentary on John Coltrane. In his mature years, just one note from his horn connects you through him to something universal and healing. This is the essence of music and all art. Theo Travis: Thank you too! Keep on listening and keep smiling!